We constantly work towards improving the adtech weekly roundups based on your feedback and add-ons. And, we would like to continue doing so. We love your feedback, so, feel free to let us know what you think. As expected, Trust is winning the game. Header Bidding Industry Index (HBIX) updated the status of the header bidding tech among the top 1000 U.S sites for this month. And, we’ve spotted a significant rise of a bidder and it isn’t Facebook. TrustX. TrustX is a private marketplace where premium publishers (NBC Universal, Conde Nast, Fast Company, etc) offer their bot-free, quality impressions to elite advertisers. As you could see, TrustX increased its adoption rate by 14.3% in a month. Agreed, the overall adoption isn’t impressive as other bidder partners (AppNexus is well over 50%). But, that’s not the actual catch. 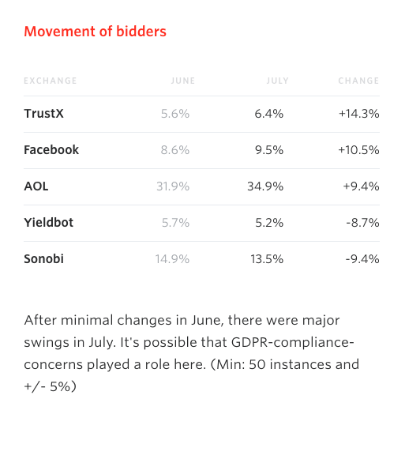 GDPR might have favored TrustX more than the others. The reason is simple – TrustX offers a transparent, premium private marketplace. So, it’s time for you to consider PMPs. Trust is a winning factor in programmatic. Period. TrustX knows it and here’s what they say as their purpose. Again, we are going back to basics. Embrace relationship and build your credibility. Don’t believe us? IAB Tech Lab is in the ground. We’ve heard a lot about how blockchain tech is going to evolve the way ad tech works and put a dramatic end to fraudsters in the ecosystem. A while ago, we analyzed who are the players in the market and what problem are they trying to solve using blockchain. But, last week IAB Tech Lab officially announced an initiative to find the answer to the question – Can blockchain make the ad tech transparent (for real, this time)? Interactive Advertising Bureau (IAB) Tech Lab Blockchain Working Group is launching a pilot program. The program will analyze 100+ blockchain-based technology which is targeted at digital advertising and then, will write a white paper. The white paper will help us determine what initiatives and projects are going to shape ad tech. For instance, Lucidity’s “Pilot 2” is aimed at verifying impressions and track the supply chain using a shared ledger. And, it has been considered for the white paper. So, it’s happening. No more ad tech fee? Not exactly. You might still need to pay for the services. But, it won’t be as heavy, when you compare all the intermediaries. What should you expect next? White paper – The consortium didn’t say when they’re going to publish the white paper. We’ll let you know as it happens. According to the source, Innovid, the world’s leading video marketing platform, revealed the new viewability metrics reporting for Youtube Ads and Google Video Partners (GVP) across all devices. 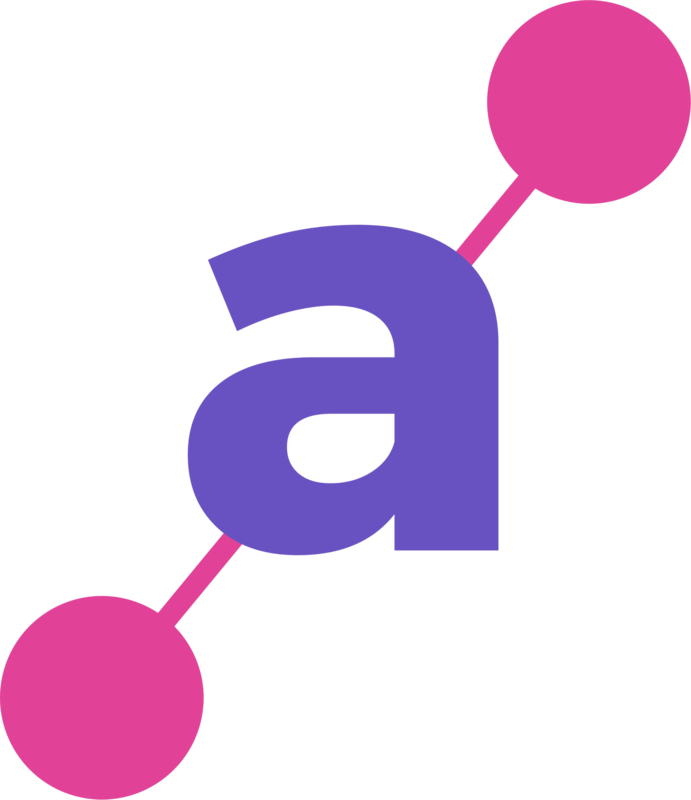 Advertisers will be able to source trusted measurement partners. So, improved transparency and neutrality. Innovid customers can get improved reporting in a reliable environment. Innovid will start by offering industry-standard viewability measurement for video ads on Youtube. This includes verification of impressions that have at least 50 percent viewability for consecutive 2 seconds at the least. Advanced viewability metrics such as audibility and viewable time on screen will be available at the later point of time. In case you don’t know about ‘The Ozone Project’, see here. The Ozone Project is an up-and-coming ad network formed by the largest media titles in the UK: News UK, The Guardian News and Media, and The Telegraph. And, last week, we got a few updates. Damon Reeve, Director of OpenX and former CEO of The Unanimis Group Limited has been appointed as the project lead. The project is going to invest in a technology that puts publishers in charge of the ad tags on their page/header. In other words, publishers can control how ads appear and where the ad tags will go. Ad tech vendors are about to stay out of the page. This will do good, as per our prediction. How? Publishers can get rid of the unwanted and unknown (surprising) third-party ad tags that have been slowing down their pages. So, improved user experience and better ad rendering. #Share the roundup with your team and help them stay up to date. Note: We send weekly roundups to our subscribers and if you would like to join the list, let us know.